DYNAMIK support sport at all levels and recognise the powerful impact of art and sport combined. Lois O’Hara an artist involved in community projects saw this opportunity and brought it to life in Brighton to create the UK’s first ever Art Court. 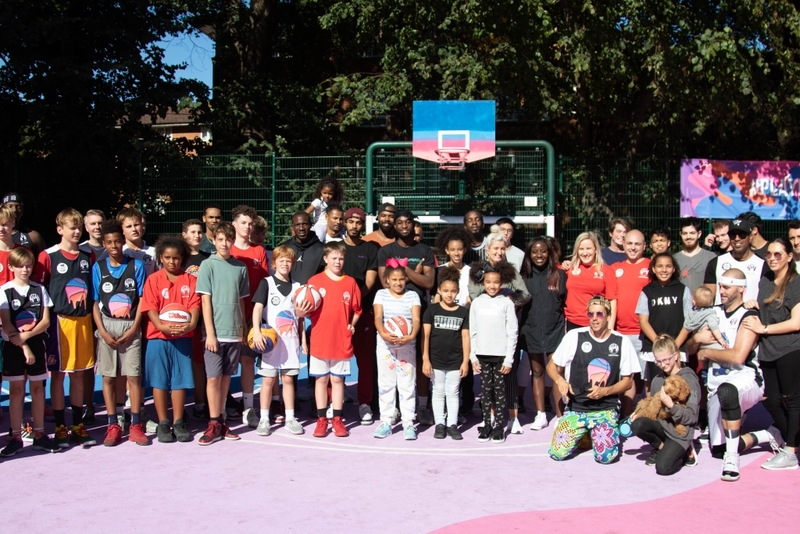 The first ever inclusive, community art court was opened to the public reaching over 100 people who turned up to play sport. Venice Beach League and Dunk Elite provided coaching and a 3×3 competition to give a taste of how a basketball court should be used. Basketball England were able to link the artist with DYNAMIK and other partners who provided some invaluable input. Projects such as these create new and inspiring ways of unlocking opportunities for people to play basketball and become more active, something DYNAMIK whole-heartedly encourages.